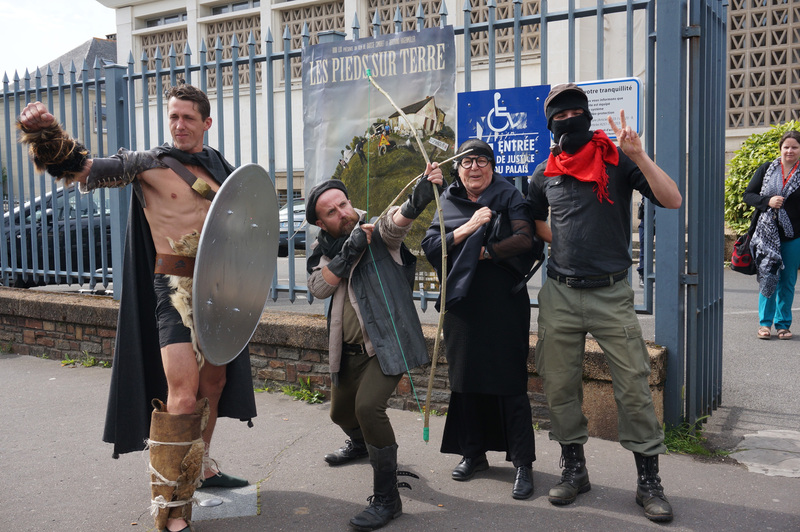 Subcommandante Marcos, Robin Hood, Louise Michel and Spartacus – the Roman rebel, resplendent in green woollen socks rather than the leather boots one might expect – are all impatiently waiting outside the Palais de Justice (courthouse) at Saint Nazaire (in western France). The characters eye off two surly security guards, who grimace back at them from behind their aviator shades. All these people are here for the lauded ‘Cèsar de la Resistance’ award, to be presented in due course. The police close the small road to traffic, and a red carpet is rolled out, running from the gates of the courthouse to the lectern in the middle of a narrow traffic island. Paté and muscadet (the local bubbly) are at the ready, and women more used to work boots laugh as they attempt to navigate cobblestones in second-hand sparkly heels. Everyone in attendance has made a nod to Cannes fashion with op-shop finery. It’s not your average kind of awards ceremony. Then again, the ZAD is not your average kind of place. What exactly is the ZAD? Near the village of Notre Dame des Landes in rural Brittany, the Zone à Dèfendre (Zone to Defend) or just ‘the zone’ is comprised of a sprawling 4000 acres of forest, wetlands and fields – fields of cattle, vegetables and hay, permaculture farms and the home of an unlikely alliance of squatters and radicals, farmers and rural organisers. Occupied for eight years, the ZAD is currently the largest autonomous zone in Europe. And it’s under renewed threat from France’s fresh-faced president. The Cèsar de la Resistance is the first action I attend upon arriving at the ZAD. The occasion celebrates a documentary currently on release in cinemas in France, featuring local inhabitants Christiane and Claude Herbin. The award is both an allusion to the Cèsar awarded at the Cannes film festival, and a cheeky reference to the failed expulsions of the ZAD in 2012 – code named Operation Cèsar by the state. I’m slowly discovering the zone by visiting a few collectives each afternoon by bicycle, in awe at the sheer physical labour and time that has gone into building and growing – quite literally – the resistance here. Since 1960 this land has been earmarked for an airport, despite the fact that there is already an airport in the nearby city of Nantes, twenty minutes away. Locals have long opposed the airport, and many considered the project dormant and unlikely to cause trouble as they continued to work the land and build their lives here. In the early 2000s the project was resurrected and the state again began to buy up land, offering farmers compensation for leaving. A number of them – including Christiane and Claude, now known as the ‘historic inhabitants’ – refused to move. They realised that they would be unable to defend such a vast tract of land through legal strategies alone, and collectively made an appeal for people to come and occupy the land – so, in 2009 the zone came to be. It exists as an occupation ‘against the airport and its world’, and at the same time a space for experimentation and creation. The farms here are in an older style known as le bocage; small fields between wide hedges made up of woodlands. These create a series of natural corridors between the fields, forests and lakes across the zone. You can spend hours wandering the shaded pathways through scrub and forests, discovering hand-built ramshackle cabins, retro caravans in various states of repair, earthen buildings, old trucks and horse carriages converted to living quarters, and masses of that cheap and modular building ingredient – the wooden pallet. It is a beautiful irony that the potential of an airport on this site has prevented it from being transformed into the larger fields that now dominate modern agriculture in France, sustaining the biodiversity and multiple uses of the land that many now seek to protect. Over the years, I have visited and lived in many social centres, squats, warehouses and collective projects around the world. I’d read and heard a lot about the ZAD before arriving, but I was still unprepared for the scale, the audacity and the creativity that has gone toward resisting, and simultaneously creating this beautiful haphazard space of possibility that has flourished for these many years. There are around 200 people living in 60 different collectives across the zone. There’s collectives growing hops and brewing beer and cider, baking kilos of bread, making cheese, growing vegetables for the free market, a pirate radio station, a sports space, a gym, cinemas, a kids’ house and a newspaper with open publishing principles, delivered weekly to each collective – The Zad News. I’m staying with the collective at La Rolandière. 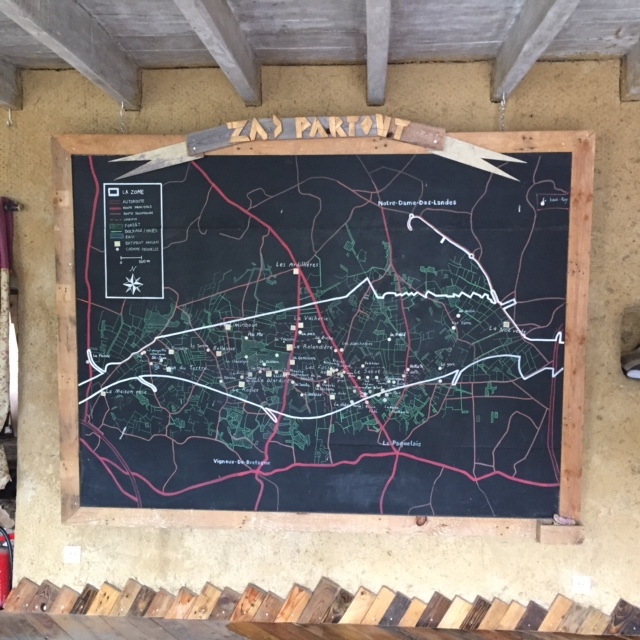 They have opened a welcome and information centre for the ZAD, in an attempt to address the common difficulty of these kind of radical spaces being inaccessible and often intimidating to connect with. The centre was converted from a disused stable in an old farmhouse, and features many pamphlets, books, and maps of the zone. Learning traditional terre paille (cob building) the collective have remade the walls with straw and clay from the zone, and rebuilt the floor and staircase to the attic above. The attic is now home to the Taslu library, which hosts screenings and discussions on themes such as anthropology, Italian autonomous movements and the Zapatistas. 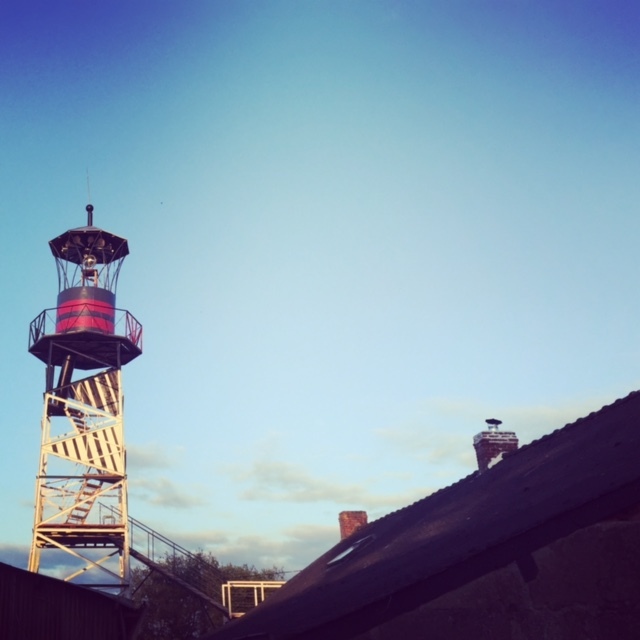 If you duck your head and climb through the attic window of the Taslu you can use the walkway to a 20-metre-high steel lighthouse, for a view across the bocage and cow paddocks. This beautiful surrealist inland lighthouse was built collectively over many months, and gently teases at the control tower that would have been built, along with the proposed runway, on a nearby field. It asserts an audacious confidence, by committing to building something large and permanent despite the uncertainty of the struggle. Locals and Zadistes (zone members) often drop by on their bikes with friends and family, climbing to the top of the tower to have a drink and take in the ZAD from on high. An autonomous project of this scale comes with its own particular politics and tensions, of course, as people attempt to build new systems and ways of living and being while opposing outside forces. Finding ways to manage these tensions, and not be overwhelmed by these forces, will be even more critical in the coming months, as the new Macron government sets its sights on resolving the issue of the airport, and by extension, the ZAD. The ZAD and the proposed airport featured as a major political issue in the presidential election, discussed on televised debates and in many news articles. Macron’s announced approach is to send in a team of mediators to find a solution without ‘brutality’. This is no doubt a reference to the four weeks of Operation Cèsar in 2012 – during which many people were injured in a huge show of police force, and saw tens of thousands turn up to defend the ZAD. The ZAD presents a telling conundrum for Macron, particularly as it seems to be among the first issues he is seeking to tackle. Macron is determined to promote his new government as both open for business and leading on climate change – as demonstrated by the appointment of Nicolos Hulot, a former television star and philanthropist, as the Minister for the Ecological Transition. Will Macron finally lay to rest the decades-long question of this airport? And, should it be abandoned, what will be the future of the zone be, now that the state owns the vast majority of the land and the ZAD has become a powerful site of resistance? 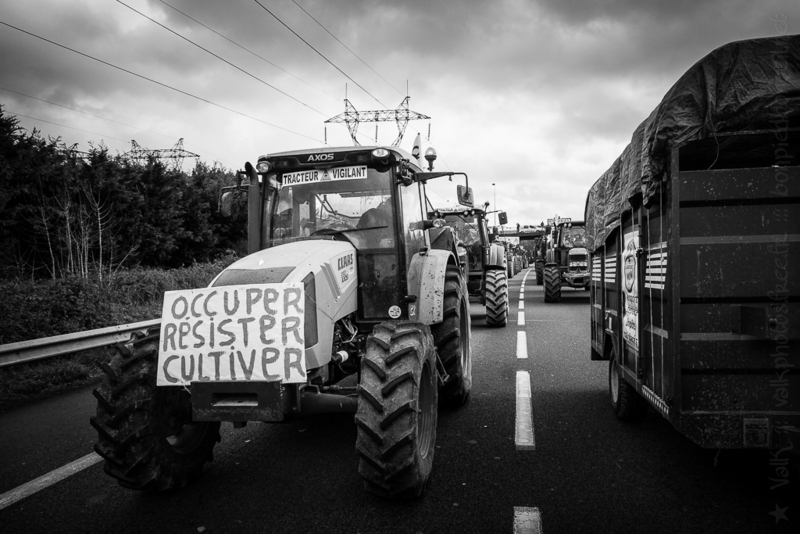 Resolute not to be set against each other – as farmer versus squatter, if the airport is abandoned – the movement at the ZAD is committed to finding a long-term way to manage the 4000-acre zone collectively. The next six months will prove a dynamic and fascinating moment in the struggle, as Macron promotes his mediation, and the movement recommits to solidarity across the diverse positions and visions for the future of the zone. The awards ceremony takes place the week that Macron announces the three mediators who will take carriage of the work over the next six months. 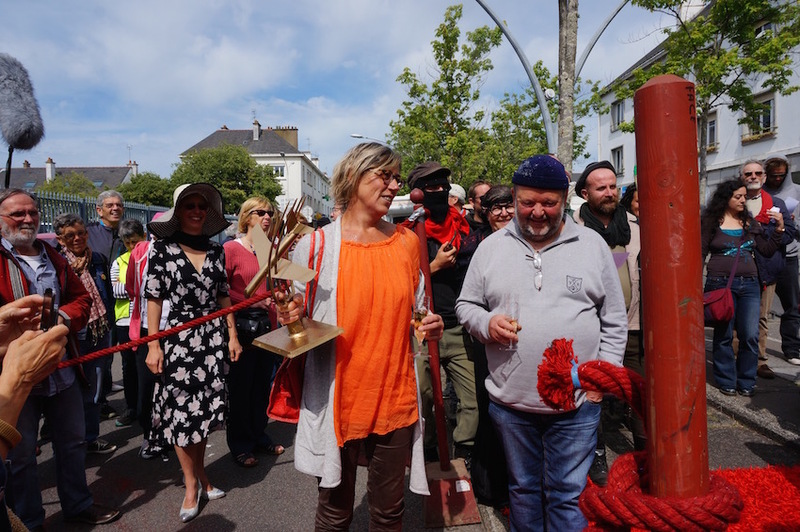 Claude Herbin – affectionately known as ‘Petit Claude’ – and Christiane exit the courthouse, where they have lodged an application to extend their right to stay in the Liminbout hamlet. Claude and Christiane are the final historic inhabitants of the ZAD to reach ‘evictable’ status; they are also the final nominations for the Cèsar to arrive at the event. 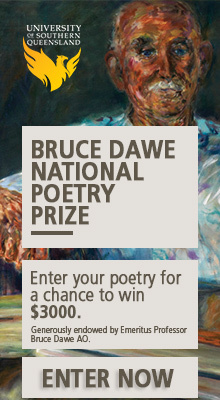 With over-the-top pomp and the official Oscars music blaring, the ragtag crowd of Zadistes open the envelope to reveal the winner, and present Claude and Christiane with the Cèsar – a hand welded trophy of a golden pitchfork impaling an airplane. It is so heavy that they are unable to raise it aloft to celebrate their win; instead, they hold it at chest height and smile at the crowd with gentle joy at the spectacle, and the sentiment. The warmth in honouring the couple demonstrates the strong and deep friendships built between local paysans (farmers) and the occupants at the ZAD who answered their call in 2009. When I see the camaraderie between people here, forged on barricades and in the fields, I can’t help but wonder what ‘Lock the Gate’ might look like if the relationships built on the frontlines at Bentley, or in communities in transition like Hazelwood, had the opportunity to live and build together over many years. The complexity and the richness of possibilities evidenced in these collaborations – when people at once defend and create together – are the very things we need to examine and work our way through as we face deepening conflicts over resources and the increasing impacts of climate crisis. For now, I am taken by a childlike wonder as I explore the greenhouses and shacks built from imaginations given free reign, on a foundation of genuine solidarity in fighting together to create something new.